I'll start off with a bit about me, I'm Laura 38, originally from Glasgow, but now live near Liverpool. I've got 4 children & an amazing partner. Anyway, my brother rang me on the 2nd of August & told me the worst possible news ever, my beautiful mother had suddenly passed away at home aged just 61. She was absolutely fine on the Thursday morning, got my brother up for work, but 3 hours later she was dead. My mum was a lollipop lady so was off work due to the summer holidays, Thursday was also my dads day off, he found her in the livingroom around 10am. Called the paramedics & was advised to start CPR until the paramedics arrived. They worked for around half an hour on my mum, but it just wasn't too be. I think I'm still in complete shock. I feel very empty, and sad all the time. Like a part of me is missing, she is always on the forefront of my mind, I can't stop thinking of her. 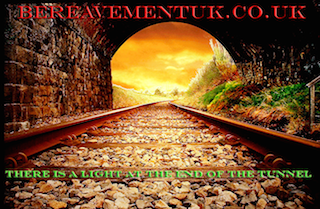 I travelled upto Glasgow on the Friday with my eldest son, and started planning the funeral. I've never been in a funeral parlour in my life! Let alone talk to a humanist about my mum. The funeral was the 10th August, and we travelled back home to England with my dad & brother. They wanted to come & stay for a few days before going back to work. I feel like I need to see a doctor to talk, I have so many questions. The autopsy showed she died of coronary artery something, I can't remember the something & don't want to ask my dad at the moment. I was lucky to speak to my mum on the Wednesday afternoon, I was due to get an operation on the 8th August. My parents were going to travel down the day after to help with my recovery & look after the children for me. Needless to say I cancelled the operation as soon as my brother had phoned me. I'm not really sure what I'm looking for by joining this forum, my head is mashed. Hi Laura it isnt suprising your head is mashed - i think all of us here can relate to that. The loss of my mum isnt why i found this site but i was a little older than you when my mum died -she died of cancer and it wasnt a sudden death like yours but nothing can really prepare us for it.Its like someone took the foundations out from under us and we,re left holding on to a slippery scaffolding pole and a big drop under us. It sounds like you do have support with your husband and familly and this site can become another support - perhaps you have already identified a good reason to join and a reason it helps - in saying you cant ask your dad right now.Because sometimes when we are supporting others we find it difficult to cope with our own grief and express those feelings if we are afraid it will make it more difficult for them - so it is easier to talk about that to people not directly involved, yet who are sharing the same experiences with their own loss. Im so so sorry to hear you have lost your mum. I know what you mean, two years on from losing my dad I still feel my head is mashed. He died aged 60 from a sudden brain hemorrhage, absolutely fine one day and gone the next. It's so hard to get your head round and to try to deal with the loss, I feel for you so much and am sending you my thoughts and support through this forum.